Hello dear readers. 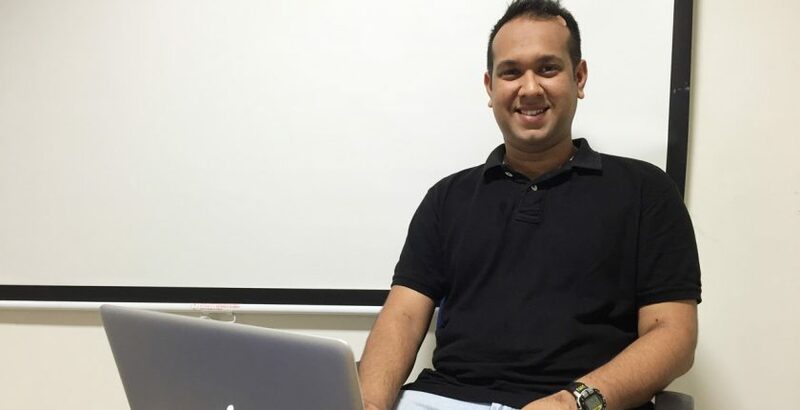 In this article we present to you Aniket, our ex- DCTian, famously known as ‘The Magician’ amongst us. His coding abilities and programming efficiency is commendable. If you have a programmatic problem or a stubborn bug in your code, which you cannot get rid of, go to Aniket and he will simply make it disappear within seconds. Hence we have aptly given him the name. Besides that, he is a great fan of Ruby on Rails. Let’s hear more about this brilliant coder’s journey with us. Hello Aniket! Can you tell us how did you get to know about DCT and why did you join us? Well, this all began in the month of September 2015. I wanted to take my programming carrier to another level by learning a new backend technology and Bangalore being the cradle of the software industry in India, my arrival here was imminent. Since childhood, I had always relished the prospect of coding and the challenges it put forth. I decided to learn Ruby on Rails because of its sheer ease of use and understanding. The concept of Rapid Development seemed very interesting. However, my knowledge on Ruby on Rails was still very limited and I had way too many questions that needed answers. So on my first day in Bangalore, I logged on to meetup.com and decided to ping three members every day and try my luck at who will respond and mentor me to be what I am today. In my second attempt I pinged Aniruddha, who was a very active member of that group and within minutes I got a call from him & decided to meet up. We had a long conversation and he made me realize that I was halfway there in learning Ruby on Rails but some core concepts, essential Ruby concepts were still unclear. Following which, I knew he was the person who will show me the way, thus without further delay I enrolled myself into DCT to study Ruby on Rails and rest is history. 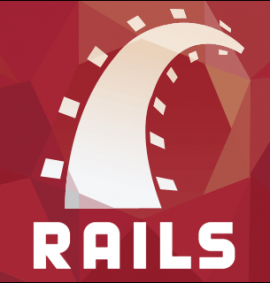 Why are you so fascinated with Ruby on Rails? Ah, that’s a good question. Until mid-2014, I had worked on a lot of front-end projects and was working on a PHP project. On the job I had to give a demo to one of my friend’s friend. In response to the demo, he asked “Why don’t you build this on Ruby on Rails?” At that point of time, I did not know what Ruby on Rails was. Same day when I reached home, I searched what Ruby on Rails and stumbled upon Ryan Bates’ Rails casts. Just watching the episode, I was simply mind blown as to what he accomplished in literally 10 mins. He had barely written any code and within minutes we had up and running a fully functional web application. I couldn’t sleep that night and I realized that somehow I just had to learn and master Ruby on Rails. Starting with a few books, articles here and there, I started gathering knowledge with self-motivation and determination behind me. With a few initial setbacks, I seemed to have gotten hold of this framework but was still unclear about few concepts. But thanks to Aniruddha, it’s a whole different world now. How has your experience been in DCT Academy? Well it was just simply fantastic. It all seems like yesterday, but to look back it’s almost a year now and things haven’t changed here. DCT is my second home in Bangalore. I believe I am very lucky to have like-minded, eager to learn aspirants (now friends) with the same determination and intensity I have. I also got a chance to do pair programming, something that was entirely missing when I was in Pune. All of us would gather, brainstorm about real world problems and ideas and just code them in working applications. That dedication of coding and making it happen was unreal for me and I at that instance knew that this is the place to be with all these people. Besides that, Aniruddha is an amazing trainer and an influential person in my life. He set the foundation for the coder that I am today. I fondly remember our initial discussion, he said, “I assure you that by the time you finish this course, you will see the world in an object oriented way”. True to his word, it has all changed since then. He is disciplined teacher who provides individual attention to all his students. I think that part is very crucial, because each one of us has a different way to understand things and Aniruddha accordingly adjusts his teaching skills to match our understanding capabilities. How has your time learning Ruby on Rails helped you with your work? This academy has helped me in many ways and it has direct results on my work too. My basics have become very strong ever since I started this journey. More importantly, the phase after the course was very vital; we went on a coding spree and decided to take up the ‘twelve days twelve apps challenge’. Figuring out new ideas and building working prototypes and launching live applications has become a reality for me. Conceptually, it has taken me to another level. This, I owe it to Aniruddha for making Rails so much fun for us. Currently I work in a company, which uses an older version of Ruby. Initially, at times, it did get a bit tough considering I had learnt the newer version of Rails. However, it has hardly become much of a bother for me, thanks to the strong foundations laid by DCT. I also work upon other personal projects in my free time and often participate in hackathons to widen my horizon. What do you think is that one-thing learners tend to ignore and should work upon? In my opinion it matters how one wants to learn something. I think learners should have an open mind and leave out whatever they know about the subject behind to get a fresher view. Usually people would come prepared and have already made up some ideas of the subject of choice. I would suggest learners to avoid that. Come with an open mind leaving whatever prior knowledge you have and just observe for a day or two and see what does it has to offer for you. If you feel this is going to be beneficial in the long run, then you can go ahead in full might to prepare for it. Yes, of course! It was a life changing decision for me and I actively encourage people around me to learn to code. You will get the best of the programming expertise knowledge and training from DCT. Not only that, it will make you fall in love with coding. I have already recommended enrolling in DCT Academy’s Ruby on Rails course to folks who are interested in taking up coding, some including my cousin, friends and colleagues.